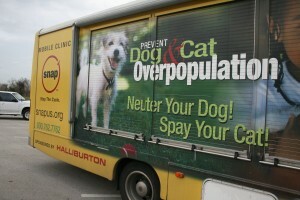 Thank you for making the responsible decision of spaying or neutering your pet. 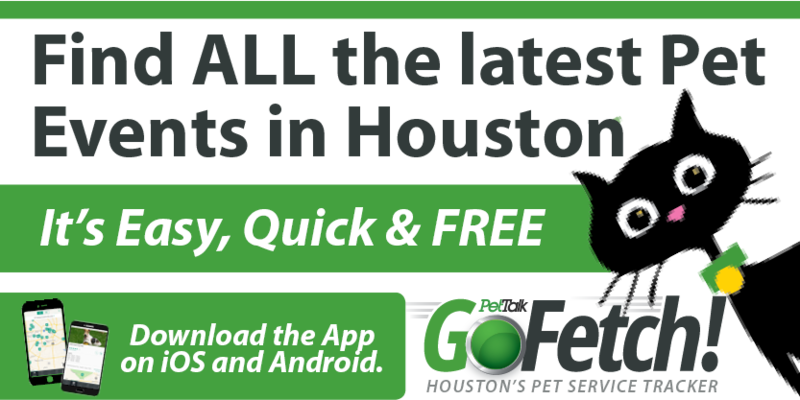 You are helping improve the safety and health of the residents and pets of Fort Bend County. Fort Bend County Health & Human Services is pleased to provide this services to its residents. Spaying or neutering household pets not only stops overpopulation, but provide other benefits for both pets and their families. For example, spaying female dogs and cats eliminates the possibility of developing uterine or ovarian cancer and greatly reduces the threat of mammary cancer. Behavior may be improved after neutering as male cats tend to reduce territorial spraying, neutered cats and dogs fight less, and male dogs and cats tend to stay home more after neutering because they no longer wander in search of a mate. Spaying and neutering may cause mild discomfort with most pets returning to normal activity with 24 to 72 hours. Consider this, 2 dogs and their offspring can produce more than 60,000 puppies in 6 years, and 2 cats and their offspring can produce more than 240,000 kittens in 7 years (Souris Valley Animal shelter, www.svaspets.com). All of these unplanned puppies and kittens lead to homeless dogs and cats roaming the county or being abandoned by their owners. Too often the end result is that these animals are picked up by animal control agencies and if no home can be found they are euthanized. Pets that are not spayed or neutered can produce thousands of unwanted offspring, contributing to the hundreds of animals euthanized each year throughout Fort Bend County. Private veterinarians provide spaying and neutering for varied costs, but the SNAP provides free and reduced-cost sterilization for animals through clinic programs across the state of Texas to qualifying families. Through SNAP, pets also receive a free rabies vaccination with surgery, and families can choose to pay a small fee for heart worm medication as well as other options. Clients will be selected from a lottery, which will be held between 6:30 and 7:30 AM when the advance team arrives on-site. There is no point in arriving until just before the lottery begins. The lottery will determine your place in line. Please do not feed your dog or cat after 10 p.m. the night before surgery. To qualify, proof of participation in one of the following programs is required: food stamps, free lunch program in schools, Medicaid, major VA disability, Section 8 housing, SSI/SSD, TANF, and WIC. Citizens age 65 and older are also eligible. If you do not qualify, please call 713-862-8001 for information on reduced-cost spaying and neutering. For more information call 800-762-7762 or visit www.snapus.org. I was hoping you can give me some information. I am looking to have my dog spayed. Of course December 18th has past. Do you have the next date set for Fort Bend county? I have had two of my pets (a 65lb dog and a 10 lb cat) spayed at The Greater Good, it was inexpensive and the surgical wounds healed well! !